Edit Note: Finalized infographic now available Here. Unless there are any earth-shattering breakthroughs in the realm of medical research in the near future, most patients with ultimately be reliant on the use of medications for treatment and symptom relief in their daily lives. Don't get me wrong, I am not saying this as a bad thing. I'm a pharmacist, my livelihood depends on people taking medications. But the reality is that most of our commonly used medical drugs really only came out last century (with a few grandfathered in), and we have made major breakthroughs in drug development (I recommend The Drug Book by Michael Gerald if you are interested in the history of drug development). Drug research has definitely helped improve the health of our species. 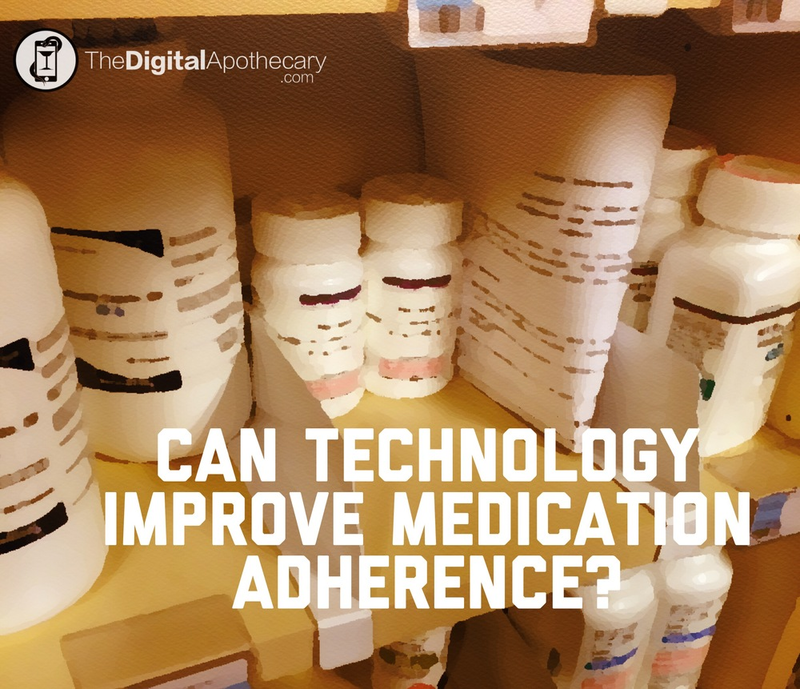 So, considering that issue, it comes as no surprise that medication adherence is a topic of supreme interests in certain healthcare circles, especially given that most chronic diseases rely on medication management. I am not going to break down costs, or how much this costs the healthcare system. Other people have done that far better. 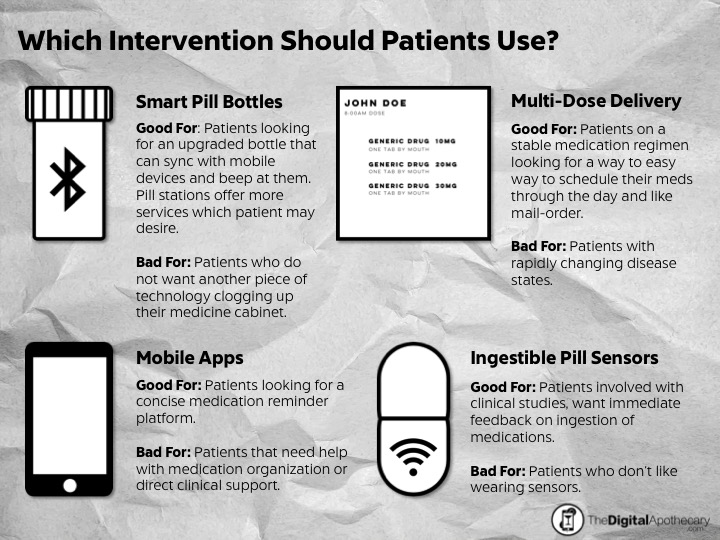 But what I do want to tackle is how we are trying to improve medication adherence, and how our tactics have changed in the past decade, due in a large part to the rise of mobile and digital health strategies. So, the following is a mockup of what a finalized infographic will look like in the future related to this topic.